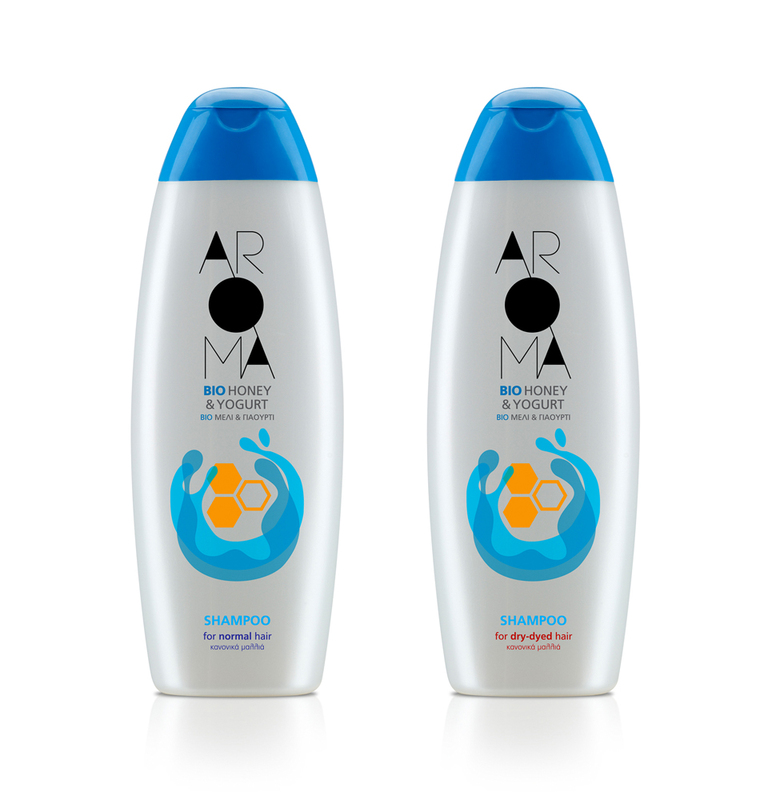 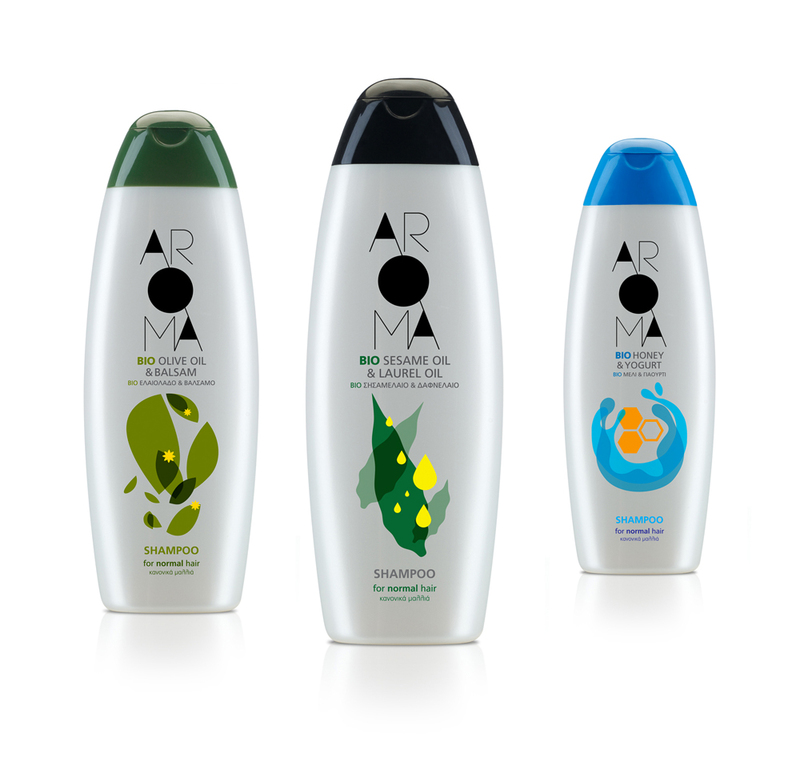 “We created the AROMA brand for an extensive range of Greek personal care products available in supermarkets. The range takes its name from the natural scented essential oils and other select organic ingredients contained in the products. (‘aroma’ in Greek being the word for perfume, scent or fragrance). Our main concern was to differentiate the range from the competition on long shelves displaying this class of product in supermarkets. 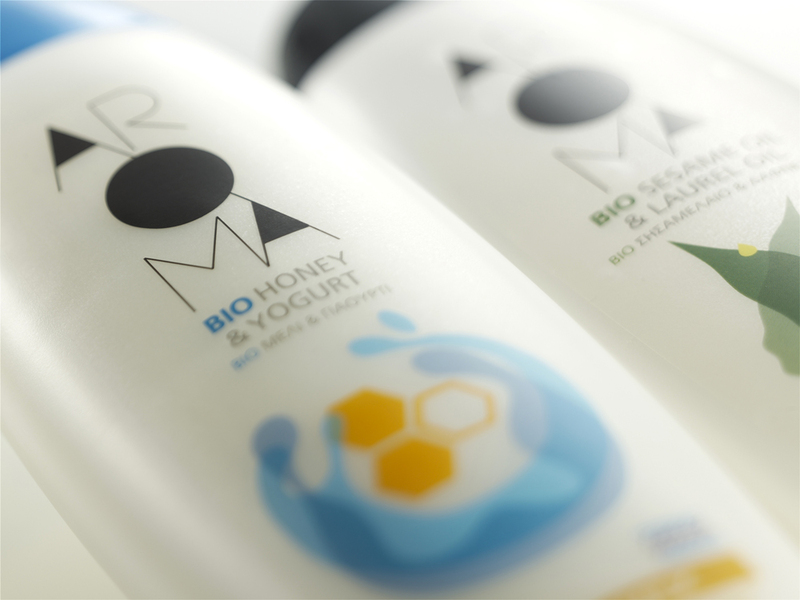 This is the reason why we avoided realist illustrations of fruits or water splashes.